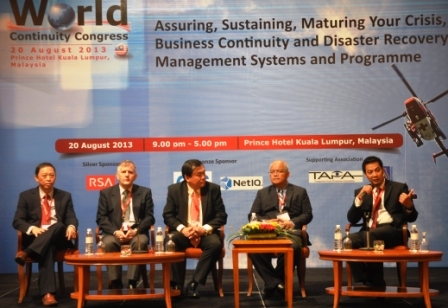 Malaysia, 20 August 2013 – BCM Institute drew senior business continuity and disaster recovery professionals to gather for an annual World Continuity Congress Malaysia 2013, themed “Assuring, Sustaining, Maturing Your Crisis, Business Continuity and Disaster Recovery Management Systems & Programme” at Prince Hotel Kuala Lumpur. 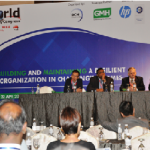 The World Continuity Congress (WCC) is an annual event hosted by BCM Institute to keep Business Continuity (BC) and Disaster Recovery (DR) professionals abreast of developments related to business disaster mitigation, preparedness, response and recovery. This event features prominently in the BCM annual calendar and provides a platform for practitioners from different industries to come together to exchange ideas, experience and information. This year’s conference featured speakers who engaged delegates with a variety of topics within Business Continuity Management, Disaster Recovery and Crisis Management such as Risk Management Essenti als for Effective Performance Management and Organizational Efficiency, ISO 22301:2012 – Building a Resilient Education Connexion, Challenges and Opportunities in Implementing BCM within the Insurance Industry (A Case Study from MNRB), and others. 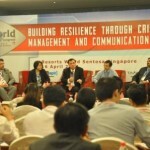 WCC Malaysia 2013 saw the introduction of a fresh new session, Business Continuity Simulation Tabletop Exercise. In this session, participants were exposed to scenario-based testing and role-played on how an organisation might respond to a disaster. This practical session took the participants through the disaster life cycle with the use of a case study. Delegates also took the opportunity to visit exhibition booths offering a variety of BC, DR & CM related products and services. Finally, we would like to thank our sponsors and exhibitors for their on-going support and contributions to the success of WCC Malaysia 2013. See you again at WCC Malaysia 2014!